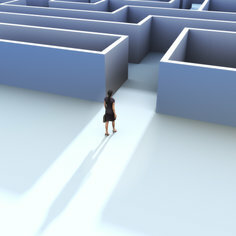 Entrepreneurs must navigate through a maze of legal issues and decisions when launching a new business. At the outset, you may think some seem inconsequential – but this could be a mistake. The choices you make today will have a lasting effect on the viability and profitability of your new business venture. Below are some of the most common mistakes made by first-time entrepreneurs, and what you can do to avoid making them yourself. A trademark or service mark is a word, name, logo, symbol or design that identifies the source of a product or service, distinguishing it from the competition. While trademarks are used to identify products, service marks are used to identify services. Both marks are afforded the same protections and are subject to the same requirements. To qualify for trademark protection, the mark must be used in commerce and it must be distinctive. Trademark law is tied to the power of Congress to regulate interstate commerce.Therefore, to qualify for federal trademark protection a mark must be used in interstate commerce. Marks used in intrastate commerce are eligible for state trademark protection. 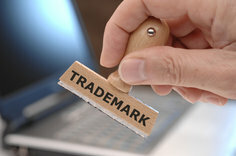 If a mark is not being used in commerce at the time a trademark application is filed, the mark may still be registered if there is an intent to use the trademark in commerce on a future date. The trademark must also be sufficiently distinctive to identify and distinguish the goods or services from those of other sources. Distinctiveness generally falls within one of four categories: 1) arbitrary or fanciful; 2) suggestive; 3) descriptive; and 4) generic. A trademark categorized as arbitrary or fanciful, or suggestive, is automatically considered to be inherently distinctive, and the exclusive right to use the mark is determined solely based on who was first to use the mark in commerce. Descriptive trademarks are only protected if the mark has acquired secondary meaning to members of the public. If the mark merely describes the type of product or service, it will not stand out and leave an impression in the minds of consumers. Generic terms are ineligible for any trademark protection. A trademark may be generic at the outset, or it can become generic over time through common usage, such as “aspirin”. Trademarks can be registered at either the federal or state level, depending on whether the product or service will be sold across state lines or within one state only. Registration is not required for trademark protection, but there are significant advantages to registration. Registration puts the public on notice that the mark is used to identify a particular good or service. Trademarks that are registered at the federal level are permitted to use the ® designation. Absent registration with the U.S. Patent and Trademark Office, trademark owners can use the letters “TM” or “SM” in conjunction with the mark, to alert the public of the owner’s claim to the mark. Trademark owners are obligated to protect the mark by taking legal action against any infringers. Owners must be consistent in asserting and defending their rights to the mark. Failure to do so could result in a waiver of the right to enforce the mark.